Please share this info with your teams. This year we have 17 teams playing in 2 divisions. Weather is looking to be AWESOME 80+ degrees, no idea on Celsius for you Canadians. 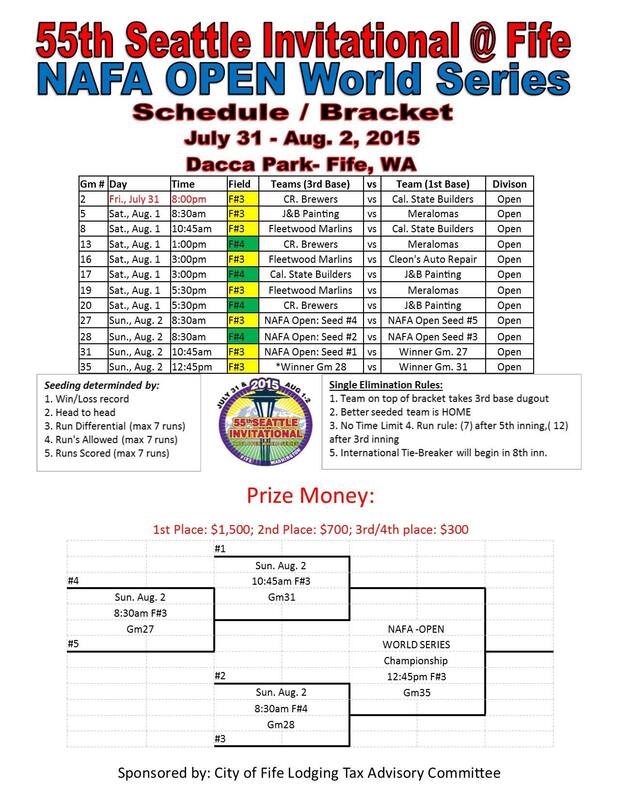 *Attached is the Tournament Profile, Rules, Rec. Division schedule and bracket. **Some Game times were pushed back 15 min- to allow for field prep. Fields 1 & 2 are across the street at the middle school. Golf carts are available to shuttle you to and from. Or you can drive over. It’s about an 8 min. walk. Beer Garden- FREE on FRIDAY to players and coaches….please tip the ladies. If you have any questions let me know, Benjie Hedgecock will be taking over from here in regards to the tournament portion. we are looking forward to a great event!